Replacing a roof can feel like a daunting task. 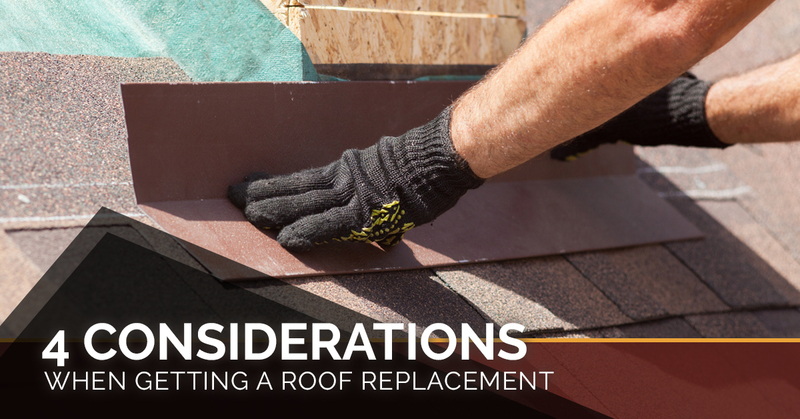 With an overload of options between different roofing materials and systems, not to mention finding the best roofing company nearby for the job, roof replacement can quickly become overwhelming for homeowners. When considering a new roof for your home, breaking down priorities, considering your wants, and having an understanding of the pros and cons of various roofing systems can make the choice much easier. At Express Roofing, we specialize in roof replacement in Mesa, Phoenix, Gilbert, and the surrounding areas in Arizona. We know selecting a roof for you home is a big decision, that’s why our roofing contractors will work with you to find the best roofing system to fit your needs. In this post, we are going to review what we see as the deciding factors for customers who are choosing a roof. When thinking about replacing your existing roof, it is important to consider the environment that the new roof will be facing. With the extreme heat, monsoons, and other harsh weather conditions in Arizona, homeowners likely want a roof that can withstand the test of time, as well as the natural elements. When choosing a new roof, make sure to select a material that is proven to be reliable. If you have trees or other items near you home that could leave debris, consider getting impact resistant material to prevent any major damages. There are a variety of impact or puncture resistant shingles available that will withstand even the harshest weather conditions! If you think this option is right for you, contact your local roofing company. Of course, one of the biggest deciding factors for homeowners when selecting a new roof is the price. Typically homeowners will be tempted to choose to have the cheapest roofing material installed by a cheap roofing company, that likely doesn’t have the proper knowledge, experience, or tools. While this is cost effective initially, the costs of excessive roof repair and maintenance, not to mention the cost of replacement after failure, will eventually not be worth it. Instead, it is better to invest in quality roofing materials that are installed by a professional roofing company. Professional roofing contractors will be able to offer you roofing estimates, too so you can make sure that you are getting the best price. It is essential to look beyond the number of years on a warranty. Ideally, you will also want to do some research and make sure the company has a good track record and can stand behind its products. Don’t be afraid to make some reference calls and look at the durability and longevity of roofs that were installed 20 to 30 years ago. Ask for examples of similar roofs in a similar environment that worked well beyond the warranty period. Similar to the warranty on a roof, the company’s track record and customer service matter just as much. Some homeowners could care less about the style or color of their roof. However, the color and the appearance of your roof has a significant impact on the curb appeal of your home. Whether you choose roofing tiles or shingles, there are a variety of colors and style choices to pick from — some roofing materials even replicate the look more expensive roofing materials, such as wooden shingles, slate, and clay tiles. Each and every roofing job is different and so is every customer. That’s why before you begin contacting roofing companies for quotes, you should first consider the factors above to determine what roof is best fit for your home as well as your wants and needs. Remember, if you are having trouble choosing the right color, style, or best roofing material for your home, a professional roofing contractor will be able to help make the decision that is best for you and your home. Need Roof Replacement in Paradise Valley, Mesa, Or Chandler? If you have a failing roof and are in need of roof replacement in Paradise Valley, AZ or the surrounding areas, contact Express Roofing! Our roofing contractors have years of experience replacing and installing residential roofs. As Arizona’s trusted professional roofing contractors, you can rest assured that we have the quality and reliable materials you need for a roof that will last for years! We carry roofing materials from some of the leading manufacturers in the industry, including GAF, Owens Corning, TAMKO, Eagle Roofing, Boral, and more! Whether you want shingles or tile roofing for your home, we have a wide range of colors, styles, and types to choose from. And, with our professional installation, you can gain peace of mind knowing that your roof and the protection of your home is in good hands. If you have a roof that needs replacing, contact us today to schedule a roof inspection and a free roofing estimate. Our friendly roofing contracts are ready to help you with your roofing needs!